This cache is the former ExploreWV Geocoin cache that we recently "adopted". Nestled in the Appalachian Mountains, the town of Cass is a living history lesson. Within the town are original sawmill camp houses that have been restored to rental cabins for visitors. The Greenbrier River runs right though Cass, allowing for bike, inner tube, and canoe rentals for a relaxing afternoon along the water. At the heart of Cass is the former logging railroad, which serves as the main attraction for tourists. 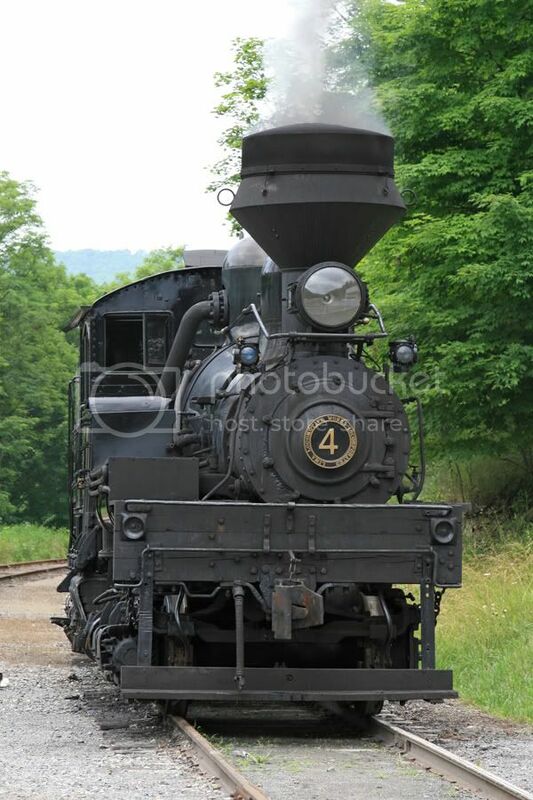 For or more information on Cass Scenic Railroad and area information, visit GeocacheWV or Cass Railroad. First note that I now see signs that say "restricted area, do not enter". I think these signs are intended to keep unauhorized people from driving back into that area. Its ok to walk from the large parking lot back to ground zero for this cache. They actually have an overlook and some informational signs near GZ that tells some history of this part of the park. You will be seeking a small lock-and-lock container. There will be a label under the lid with a little fact about the area. Please use etiquette and be courteous when Geocaching and place the container exactly where you found it.